Loft pro initially attended at our home and we informed them that we wanted extra space but we did not want a house that looked like it had your typical loft conversion added to it. 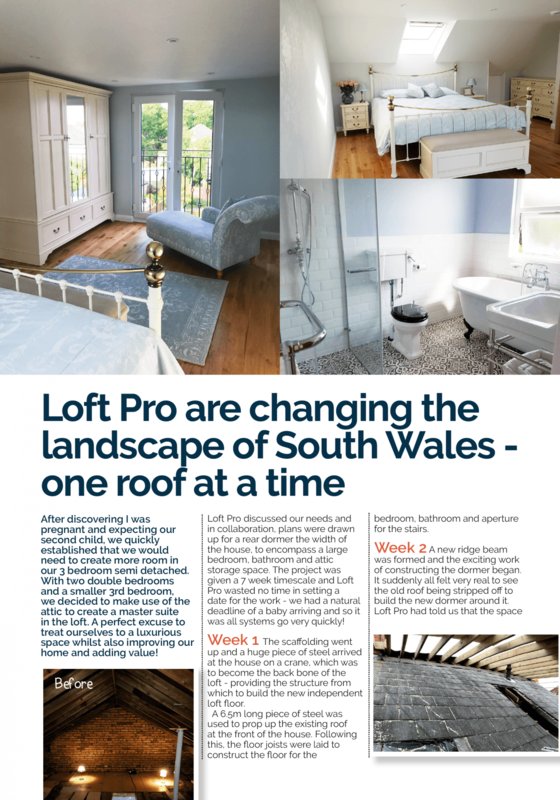 We explained to the team at loft pro that we wanted the house to look like it was originally built this way in the first place, with the extra space being a complete floor similar to the suite of a luxury hotel. 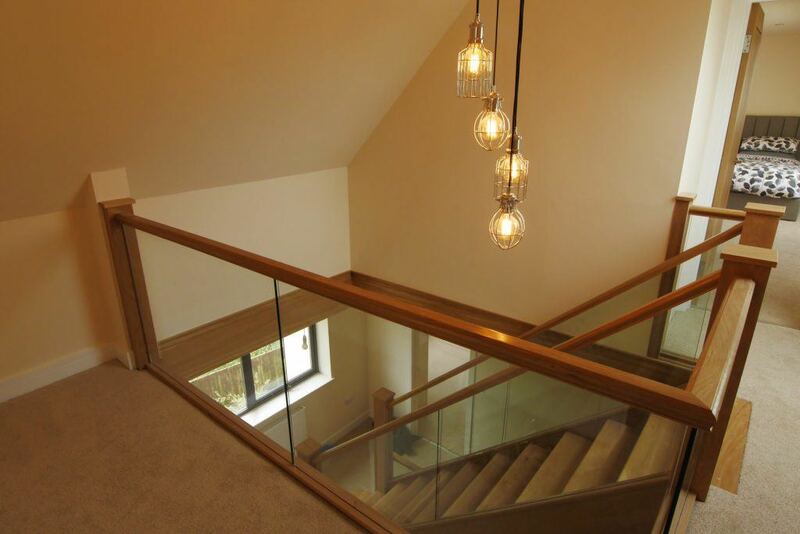 Loft pro designed, planned and carried out work on our lovely home over a twelve week period and completely transformed it. We are literally over the moon with the results and would recommend them to anyone. When we were planning to have the loft converted, we realised it was crucial to get the right people to do the work. We are not the easiest people to please – we knew what we wanted, and it wasn’t much like the examples we found on the internet. 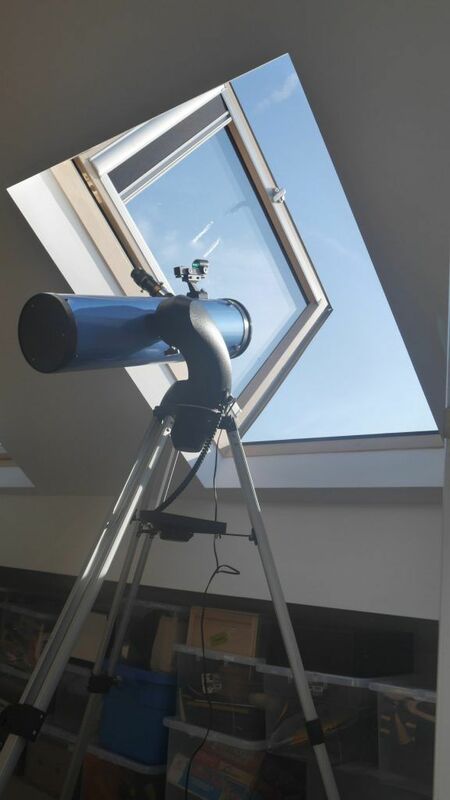 In particular we were looking for an open “balustrade” effect at the top of the stairs, a lot of storage space that was not “out of sight”, and in addition to the normal uses, we wanted to use the main room as an “observatory” with windows that opened to give telescope access to as much of the sky as possible. We were immediately impressed by the people from Loft Pro, who seemed to be as excited as we were at the project, and the challenge it represented. They researched meticulously all sorts of solutions, especially to the observatory requirements. The particular team that came to do the job, “Sid and Spoon” were amazingly enthusiastic and seemingly inexhaustible. They worked relentlessly from early morning to late afternoon each day, and clearly took great pride in the job and their workmanship. When it came to matching with existing structures, they took enormous care to produce the best possible effect. At the end of every day they spent time vacuuming and making the house habitable. 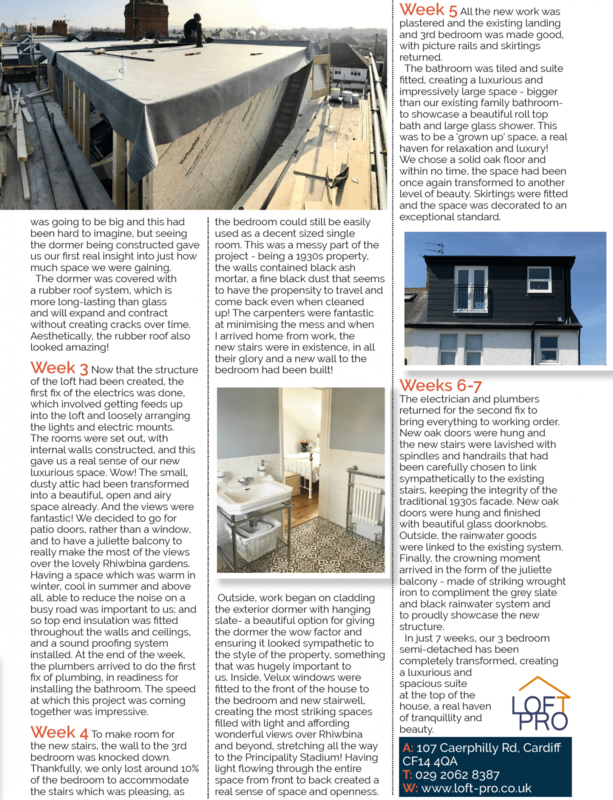 We are delighted with the results of their labours and very grateful for the care and attention they were willing to give to our loft conversion. Thank you Loft Pro; for a great job. You have expanded our home by creating a usable Loft space, giving our family an extra bedroom and playroom. We feel we definitely made the right decision by staying in our home and converting, (rather than moving home). Many thanks! Loft Pro converted our Loft, giving us an additional three bedrooms, bathroom and En-Suite, it was a very large conversion on our bungalow, but it has doubled the size of our house. We recommend. Loft Pro converted our Loft into a bedroom En-Suite. The service provided was excellent from the first sales visit to the decoration. Also the Fly-through allowed us to visualise the end result before the work had started, which was fantastic. Thank you to the Loft Pro team, for a fantastic conversion, the decision to stay instead of moving was for the best. Because of the additional two bedrooms and a shower room, our property has increased in value without the hassle and cost of moving. Thank you from David, Sue and family. Thanks Loft Pro, great job, on time and budget will recommend. Thank you Loft Pro for another conversion, you have now converted three of my properties to a very high standard. 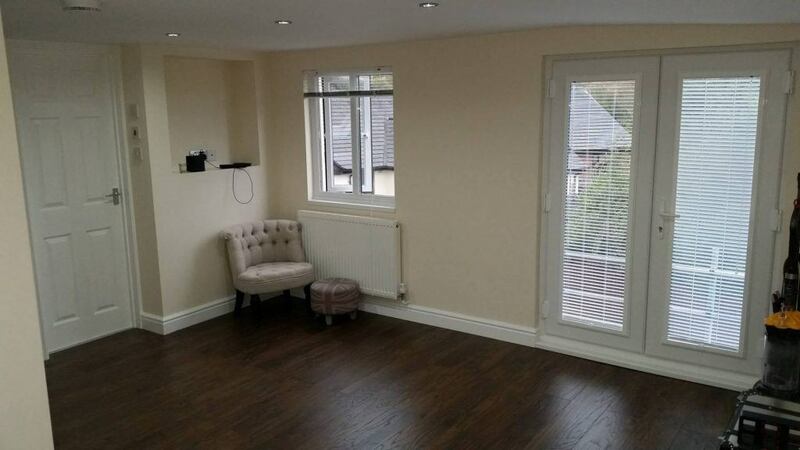 We recently had our loft converted into a master bedroom with ensuite and walk in wardrobe. This Company provided an amazing faultless 5 star service. I cannot recommend them enough.